The BoltBus route from Seattle to Portland was the first bus service of its kind offered on the West Coast, and is operated in partnership with Greyhound. What started as a small route between two Northwest cities has expanded massively. Currently, service is offered between several Northwest cities—including Portland and Eugene, Oregon; Seattle and Bellingham; and Vancouver, BC, and connecting to stops all throughout California and Nevada. The list continues to grow as the demand for this speedy express bus service expands, and as more and more people seek to travel up and down the West Coast. BoltBus began in the Northeast, and provides an incredibly cheap way to travel, with perks above and beyond your average bus trip. Don't expect cramped seating and other mainstays of average bus travel! These buses are fairly comfortable and provide perks like Wi-Fi for the duration of your journey. Of course, BoltBus is just one way to get between the biggest cities of the Northwest. You can also take short commuter flights out of Sea-Tac International Airport, catch an Amtrak train (stations in most cities) or ride Greyhound. Other West Coast stops include San Jose, San Francisco, Los Angeles, Barstow and Las Vegas, as well as others. These will include a transfer. While bus travel has a reputation as a way to travel on the cheap and often sacrifices comfort, BoltBus is a bus line like no other. Where other buses might be just a cheap way to get from point A to point B, BoltBus provides finer touches and service to its riders several steps above what you’d expect. Rider perks include Wi-Fi, power outlets, leather seats and legroom. In fact, you'll likely have far more legroom on these buses than you will on most modern airliners! BoltBus also uses boarding groups so that you don’t have to fight your way to a good seat, or at the very least you know where you stand during the boarding process. All tickets guarantee a seat. Riders are allowed two small carry-ons, and one large piece of luggage in the cargo hold (bikes included). There are several buses that go between each of the cities each day so you can choose morning, mid-day and evening departure or arrival times. Much like most modern airlines, you can even get a BoltBus app that allows you to book trips, get updates on bus locations and your upcoming trips, and even earn rewards for booking. The app is available for Apple and Android platforms. 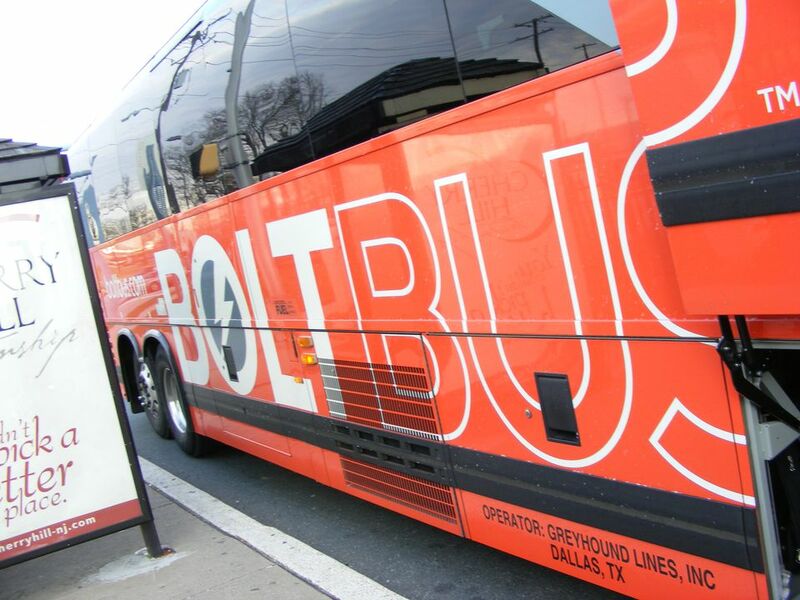 Even better, BoltBus is (potentially) cheaper than just about any other way to travel, including many other bus routes. Fares can be as low as a $1 (plus a booking fee). If you want those $1 fares, make sure to book well in advance and they're not available for all routes. It's easier to find the $1 fares if you travel mid-week instead of on a weekend or peak time, but there's no cheaper way to get between Seattle and Portland or Vancouver if you're available on a Wednesday night! If you don’t manage to snag the $1 fares, none of the BoltBus fares are expensive and usually hover in the $25 per leg range. For fare and schedule information, or to purchase tickets, visit BoltBus.com. You can also buy tickets the day of travel from a bus driver, but for full fare only. Frequent travelers are able to sign up for the Bolt Rewards program, which is similar to a frequent flier program where you'll get reward based on traveling more often. You can also buy tickets through the BoltBus app, available in the iTunes and Google Play stores.